In 1945, our founders created the first tower gift on the market and called it the Signature Tower of Treats. 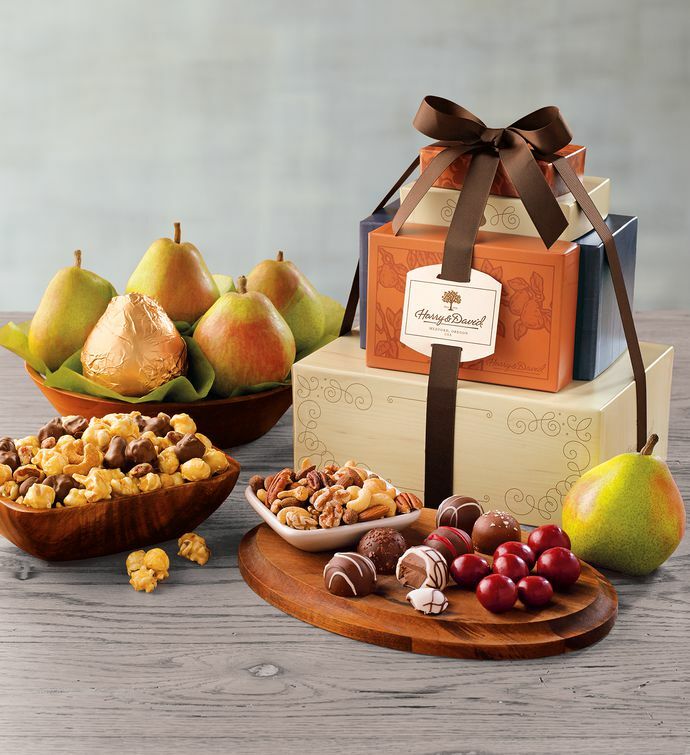 We're continuing the tradition with this gift, which features sweet, juicy Royal Verano® Pears picked at their peak. We add milk chocolate Moose Munch® Premium Popcorn, creamy truffles, and chocolate covered cherries from our candy kitchen and premium mixed nuts for a salty, crunchy bite. Everything is neatly packed in a tower of beautifully decorated boxes and finished with a hand-tied bow.